This is how the packaging looks like.. It is function as deodorant and solve skin problems like fungi infection.. It also helps to reduce and soothe body acne, rash, fungal and bacterial infection even sunburn..It also function as a natural deodorant for all day freshness..Can helps to keep freshness on your armpit and make it fairer by remove all dead skin .. Apply onto clean dry skin after shower you don’t have to massage so frequently just simply apply it..
6) Enrich with Aloe Vera, Vitamin B5 and E for extra moisture..
Hope you like my review about this Magic Lotion by Cosmoderm..this lotion is good for those who have problem with body odour and it can keep your skin freshness all day long.. Here I want to share some of great news for all...!! 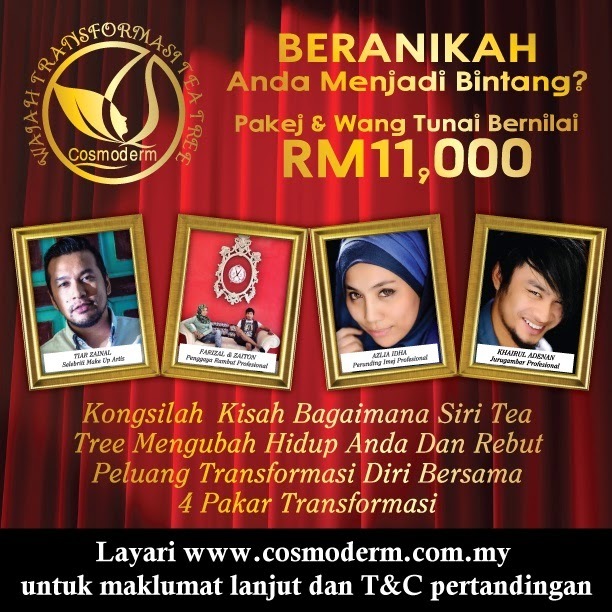 Starting this 1st April 2014, you can join this contest by Cosmoderm just simple share a picture of you BEFORE and AFTER using Tea Tree Cosmoderm to show your transformation of using the products from Tea Tree osmoderm..
Hai awkk... kita baru nk try pakai cosmoderm. 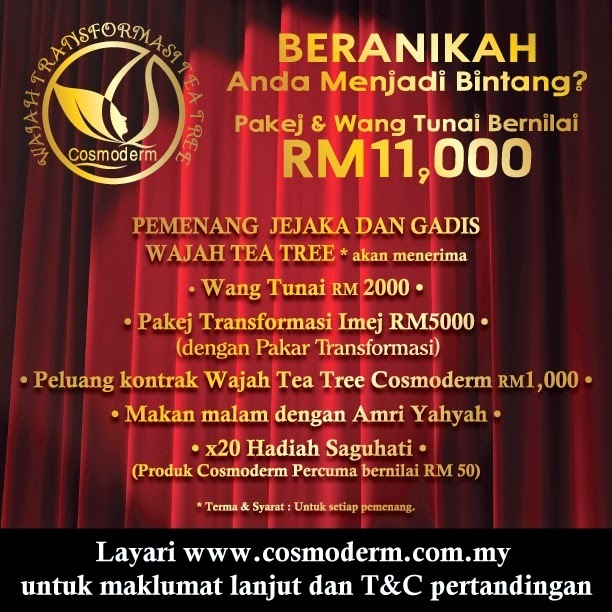 agak2 produk lain ok x?